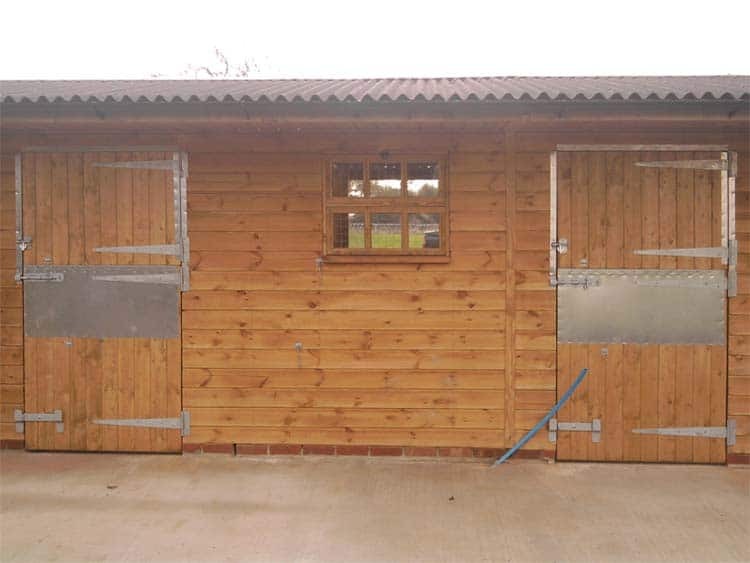 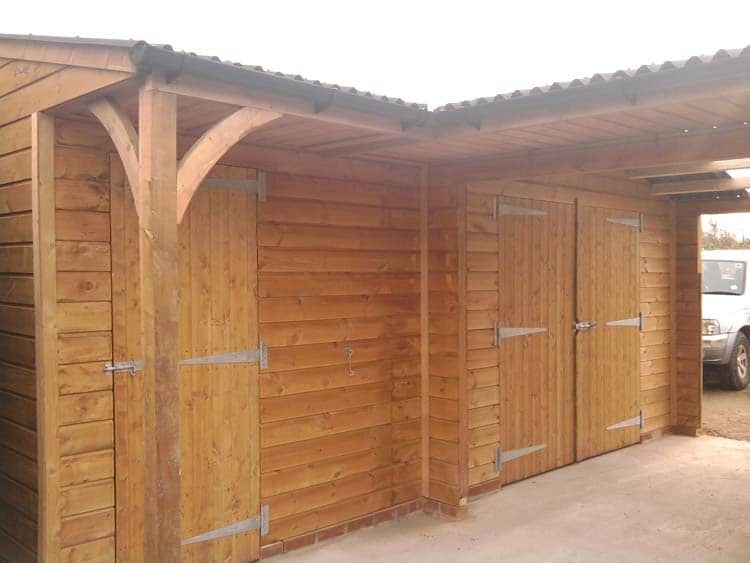 L shape stable blocks create a more compact working area and provide greater protection from the elements. 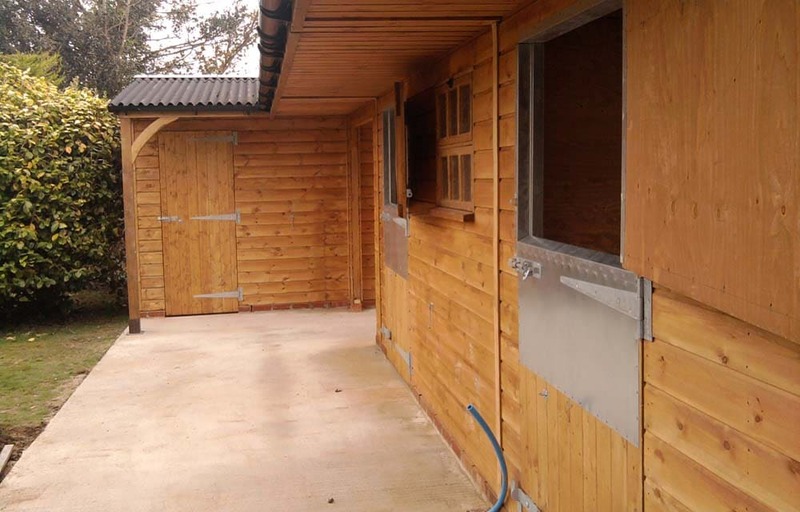 This stable block includes two Stables, Corner Hay Barn, Covered Walkway and Tack Room. 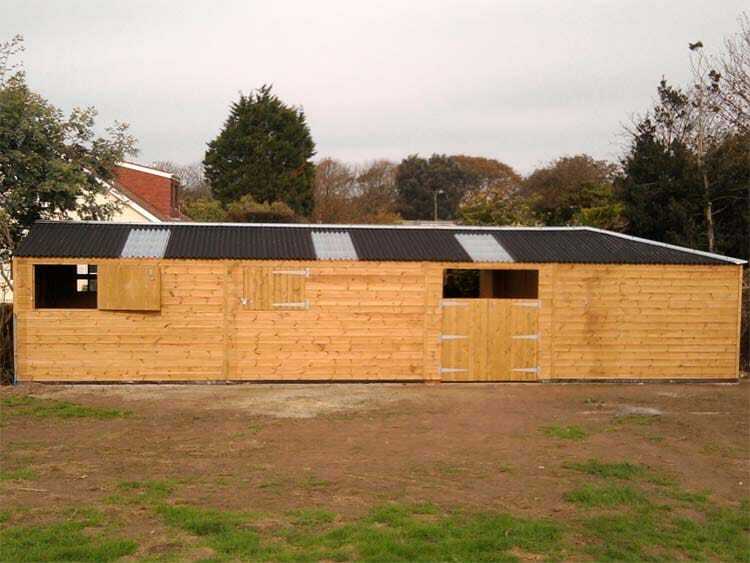 The following optional extras were added – extra deep door protection, barn doors, top door frame protection, 6-pane Georgian windows and supports at either end.